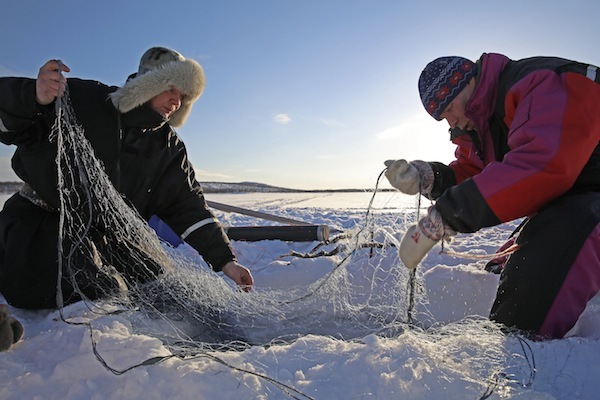 Skolt Sámi fishermen Jouko Moshnikoff and Teijo Feodoroff at winter nets in Spring 2014. Photo: Gleb Raygorodetsky, 2015. 20th December 2018: A major science paper on traditional knowledge and Näätämö released. It is available here. December 2018: A large report on the Näätämö monitoring and restoration work has been published, and is available here. Restoration of all of the Vainosjoki will continue in April 2019. Summer 2018: Ecological restoration of all of Vainosjoki has been concluded. 2nd February, 2017: IDS Bulletin article discusses Näätämö work at length. Update 25th November, 2016: The Näätämö project is prominently featured in the new Arctic Resilience Report of the Arctic Council. Since 2011, Snowchange Co-op and the Saa’mi Nue’tt have worked with domestic and international partners to install the first-ever collaborative management (co-management) project in Finland. It is on-going. The geographical scope of the project covers all of the Näätämö river basin and catchment area within Finland. Näätämö, a central stream of the Skolt Sámi today, is also a major Atlantic Salmon spawning river. It is being affected by northern climate change. Scoping work for the project took place between 2011-2012. The founding document for the work is the 2013 Näätämö River Co-management Plan. 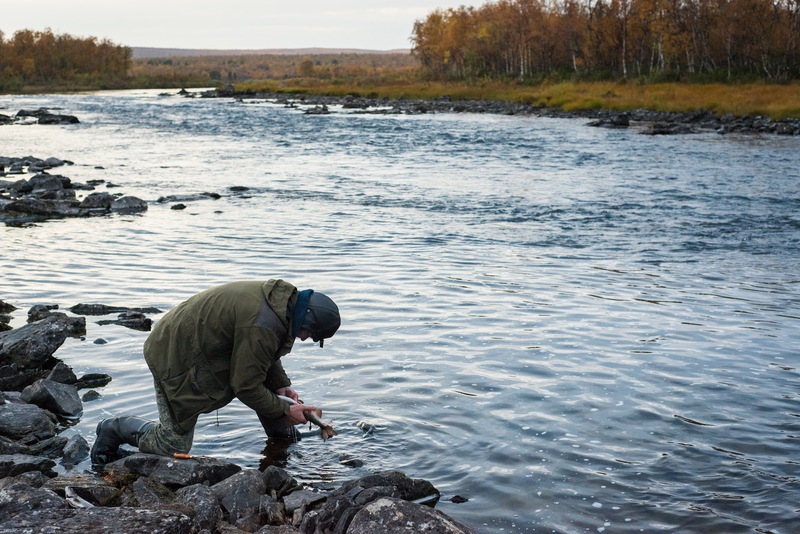 The document also contains first steps for traditional knowledge work in the Ponoi basin in Murmansk, Russia, another central Eastern Sámi salmon basin. 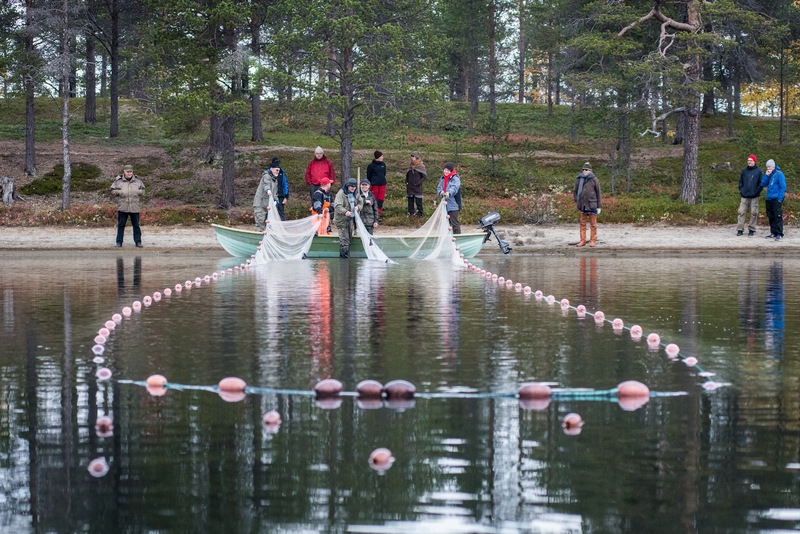 Festival of Northern Fishing Traditions was held in Näätämö area in 2014. The Näätämö project, during the seven years of its operations, has attracted significant global media attention. These articles include National Geographic, Take Part, and through our science reports, Financial Times and BBC.